rental period of 7 days. Example found on 02/05/2019 12:54 PM o'clock. If you choose a different rental period, the price can deviate from the example. This offer was found on 02/05/2019 12:54 PM. Couldn’t have asked for a better experience. Gijon city is a working town located on the coast of Atlantic Ocean in the Spanish region of Asturias. The city is separated from the mainland by mountains and the region enjoys a climate that is very different from other areas that experience Mediterranean climate. The rich traditional heritage of the city will give you a glimpse of Spain's Industrial revolution and the attachment between the city and the ocean. What if you decide to take a trip to Gijon? You will need car rental services, but how will you get the most affordable car rental? HAPPYCAR is the answer. You can visit our price comparison platform and see what various rental car companies, such as AutoEurope, RentalCars, and CarDelMar, have to offer. 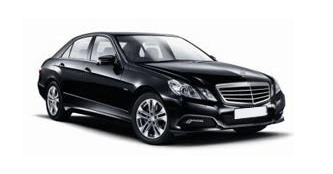 Price comparison will enable you to get the best car rental offers and get the best cars. Gijon city was occupied continuously in the Middle ages and the Romanesque churches dating back to the 12th and 13th centuries are evidence to this fact. The region is rich with pieces of Roman History. If you walk outside the town landscapes, you will have a first-hand experience of the Roman presence in the lush meadows as well as the deciduous woodlands. This is also translated on the coastal region with rocky headlands and wide beaches. The city of Gijon also borders other cities like the Aviles and Oviendo. Oviendo is about 12 miles from Gijon and experiences a maritime climate due to its proximity to the shoreline. Aviles occupies the flattest land in the region, which was previously occupied by the sea. The city is rich in archaeological heritage with evidence indicating that that had already been occupied in the early Palaeolithic era. Santa Catalina highlands display an ancient military setting with an auditorium, playground equipment, and a cafeteria. While you walk to the top, you will have a panoramic view of the sea. As you walk further east, you will begin to see the San Lorenzo beach and the mouth of Piles River. On the western edge you will see the Poniente beach, the harbor, the thalassic center, and the aquarium. This is the same place where you will find important monuments such as the Elogio del Horizonte sculpture. The city of Gijon enjoys a temperate oceanic climate that is comparable to that of the Spanish Atlantic Coast. The summers are cool while winters are wet and majorly mild. The Atlantic Ocean flows onshore creating a breeze that makes summers cool and winters mild. Severely hot or cold temperatures are rare. Tasty gastronomy is what defines the city of Gijon and Asturias region. This is not without seafood, cider, as well as delicious pastries. The streets and plazas of the Gijon city are lined with Cimavilla bars. This is where you can have a chat with a friend or dance for some hours. Once you alight, take a car hire Gijon and drive 3km east of the city to the Gargantuan Franco-era university, which irrespective of being constructed in the mid-20th century, it was almost in despair in the late decades of the century. In a bid to preserve the building, it has now been converted to a multi-purpose cultural center. Here you will find an exhibition hall, a café, and a 1500-seater theater. Later in the day you can walk through the garden and play golf. There is also a 117-metre tower from where you can view the entire city of Gijon. When you're back in the city, you can drive to the Gijon Aquarium right on the beach of Poniente. At least you will have visited the only aquarium in Spain that houses the five vertebrates. The aquarium is home to more than 4000 animals drawn from more than 400 species. The experience here is breathtaking. You will get closer than ever with sea horses, sharks, and otters. You will also get more details about their survival, habitat, and diet. The entrance of the roman baths is impressive. They face the ocean and just next to San Pedro Apostol Church. Before you enter the ruins, you will be informed how the baths were important in the Roman Society as well as the striking differences between the many rooms and how these baths were heated. You will also have an opportunity to view the remains of the ovens, hypocaust, and the bathing areas. When taking a trip to the city of Gijon, think of car rental Gijon. Visit the happycar.com for a price comparison. This will help you get the best of car hire Gijon services.